The Power of Prevention (POP) is a three-tiered awareness campaign developed by the American Association of Clinical Endocrinologists (AACE) and the American College of Endocrinology (ACE). The mission of POP is to prevent endocrine diseases by educating and generating awareness through the following methods: POP school visits, POP website, and preventative publications. Power of Prevention (POP) has teamed-up with the President’s Challenge to incorporate physical activity into U.S. schools and communities. The POP Challenge is designed to generate increased daily physical activity among students. 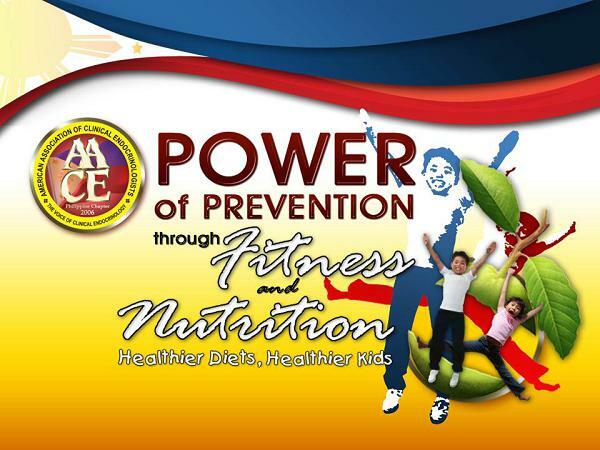 Here in the Philippines, the AACE-Philippine Chapter launched the POWER OF PREVENTION THROUGH FITNESS AND NUTRITION (POPTFN) in 4 pilot private schools in the Luzon area in 2008. The campaign started in the school year 2008-2009 which involved grade six students from the participating schools: De la Salle Santiago Zobel School – Alabang, PAREF Woodrose School – Alabang, St. Peter the Apostle School – Manila, and St. Scholastica’s College – Manila. A Five-Day Lesson Plan (modified for Philippine setting) was created to help implement physical activity and sound nutritional components into the current curriculum. The goal is to instill physical activity and good nutrition into the students’ daily routine at a very impressionable age. In 2009-2010, the POPTFN targeted public schools - one in Metro Manila: The Betty Go Belmonte School in Quezon City and one in the province: The Santa Rosa Elementary School in Laguna.